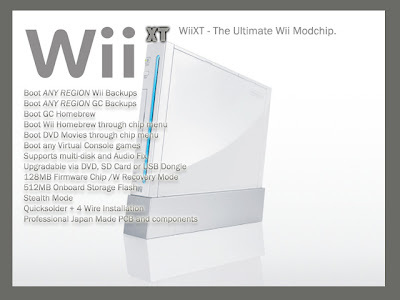 The words too good to be true ring to mind when I read over those features of this "ultimate" Wii modchip. Maybe some of those features could work but having all of them especially the DVD playback with one special chip is hard to believe. They are going to be charging $65 for this mod when its released in 3 months. I guess we'll see if this actually comes out and works. Would you pay $65 for this modchip if it worked?